The Perry “From Truck to Store” biomass range has been designed to enable quicker, cheaper & quieter deliveries. This is accomplished by removing the need for specialist vehicles, or even shovelling the material by hand, as our range will effortlessly move your material from the delivery point into your store at the flick of a switch. 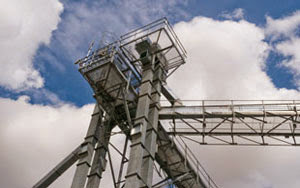 Using our combination of products we can find a solution to your biomass handling challenge.